Today I am sharing a card from the Color Your Seasons bundle available from Aug. 1st -31st, or while supplies last. I used the Watercolor Pencils and an Aqua Painter to color all the leaves. 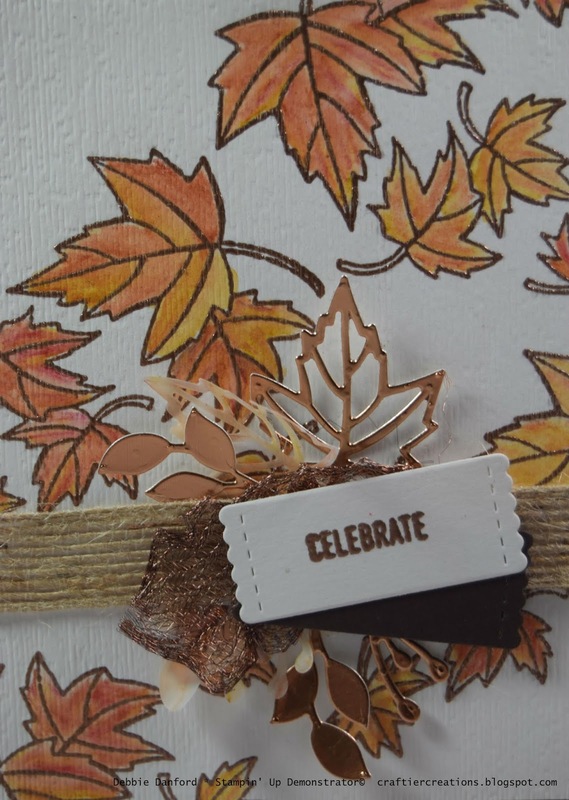 Randomly stamp the leaves with Versa Mark on a piece of Shimmery White and emboss with Copper Embossing Powder. Color the leaves with Cajun Craze, Crushed Curry and Cherry Cobbler and then blend with the Aqua Painter. I die cut the leaves from the Copper Foil and Vellum. 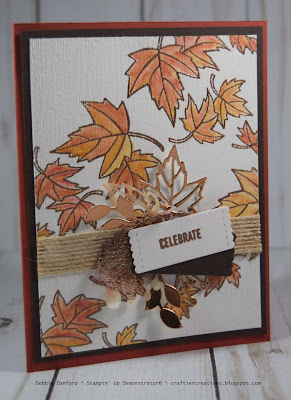 I colored the Vellum leaves with the Cajun Craze and the Aqua Painter. Stamp Sentiment in Versa Mark and emboss with Copper Embossing Powder. Die cut sentiment and the same one out of the center of the Early Espresso layer. 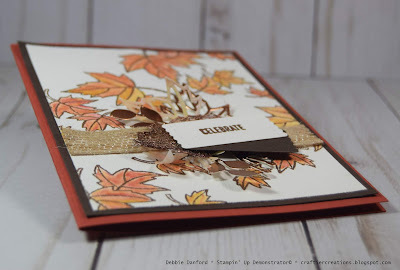 Before attaching die cuts and ribbon run it through the Subtle Embossing Folder. Now Assemble.